Self-care is a big thing in the modern world, considering how much stress and tension is going around, and how the news rarely has good things to say to us. Because of this, more and more people are having to take a step back to recollect themselves, which is quite a healthy thing to do, when you actually know how to. Self-care can be done in many different ways, and it’s something everyone has their own opinions on. 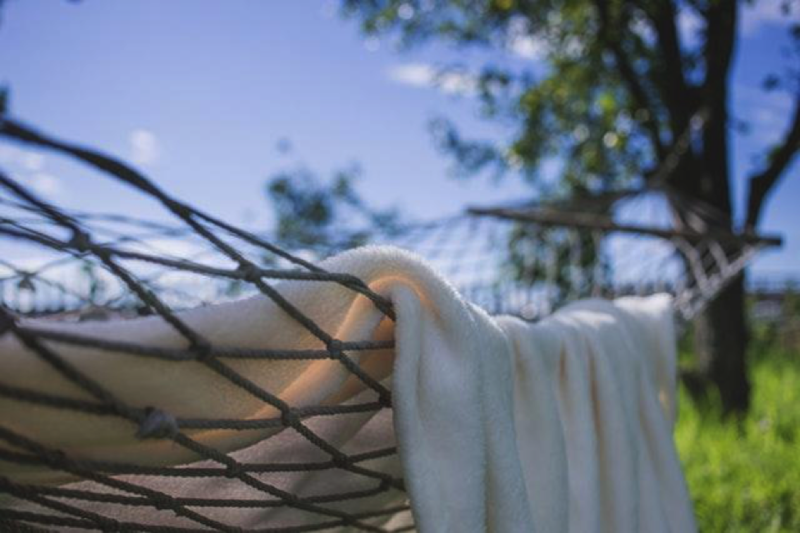 But sometimes we can forget what activities are truly relaxing, or we can forget how much time we should truly dedicate to taking care of ourselves. And honestly? We could all do with a reintroduction on what we should do for ourselves! So here’s a couple of ideas to hopefully inspire you. A lot of people hear the term ‘mindfulness’ and immediately turn up their nose; it’s something quite a few don’t put stock in or don’t let themselves properly try or enjoy, and as a result, they can miss out on a lot of benefits. 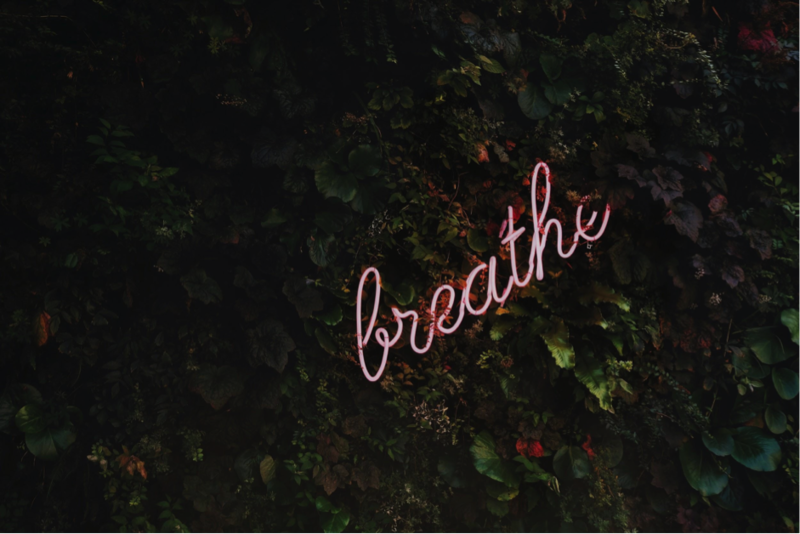 So if you’re trying to give yourself a break from very serious things like negotiating with debt collectors or dealing with the loss of a beloved pet, be sure to let yourself breathe and feel in the moment. It really can knock the stress and tension of life away, and let you feel like nothing exists outside of this little bubble you’ve created for yourself. And that’s something that could work for everyone – if you live a fast-paced, high demanding job, or you haven’t had any free time this week and next week is shaping up to be the same way, use this as your sign to try out some mindfulness techniques. And you can and should indulge in them! If what other people think means a lot to you, now’s your chance to shed their influence in a little way that still matters! So no matter what a critic said about a recent movie, or what your friends think of that reality TV show you like to binge on – if you enjoy something in media, no matter how ‘trash’ it seems to other people, you’re allowed to indulge in it. Never let yourself feel guilty for having fun in harmless ways like this. As humans, we like to think of ourselves as people of the world, who are very cultured and intelligent, and we trick ourselves into turning away from harmless pursuits we can very much enjoy. Don’t let yourself fall into this kind of trap! Self-care is something we take for granted, or we push aside as a silly thing that won’t do anything real for us. But it can do a lot for both your mind and body, so be sure to give it a try if you’ve had a bad day. Removing hair from your bikini area can be a tricky one. The skin in the area is extremely sensitive and even thinking about pulling hair out of that region can give you goosebumps. However, since many women opt for getting their bikini area hair removed we have enlisted few tips which can make epilating your bikini area a little more bearable! There are many different attachments available for epilators which are suited for removing hair from different body parts. Choosing the right attachment which is suited for the bikini area is very important. This is important as if you are already uncomfortable or stressed you will feel even more discomfort and pain while epilating your bikini area. So choose a comfortable and cool area in your house where you can epilate peacefully. Before epilating make sure to trim your hair near the bikini area if they are long. If you epilate it without trimming they can get entangled and get pulled which will cause a lot of pain. So trim using a scissor or an electric trimmer before epilating. The quicker, the better. Think of it as a band-aid. If you do it slowly it will hurt. If you move quickly the pain caused will be less. Move in swift motions and cover small areas at a time. Pull and tighten the skin in the area you are epilating which will reduce the pain and remove the hair more effectively. If the skin is not tight it can pull between the tweezers and can hurt. Once you have finished epilating rub some lotion, aloe vera gel or ice in the area you epilated. Taking care after epilating is very important as it reduced the redness and soothes the skin otherwise the sensitive area skin can burn and make you very uncomfortable. Epilators which can be used in the shower or cannot be made wet are available. Epilating in the water can be less painful but some people do not like to epilate while showering. So choose the one which you prefer. If your epilator comes with a higher number of tweezers it is going to be more effective and quick to get rid of your hair. Quick and effective means lesser pain! Epilators with many attachments including an attachment for sensitive areas like bikini area are also available. 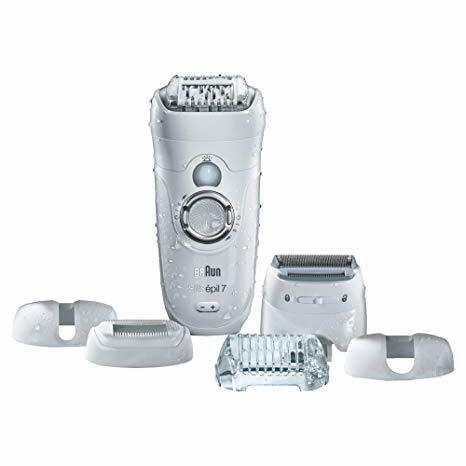 Read the features and reviews before buying to find out about the best epilator for bikini area. You should avoid epilating during your periods as your body is already sensitive and epilating in such a sensitive area like your bikini region can be very painful during this time. Once you get the hang of using an epilator it becomes much easier with each try! 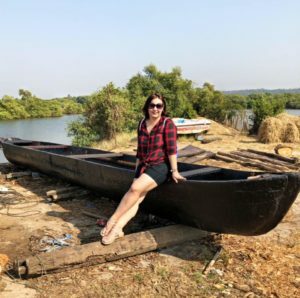 This article has been contributed by Linda Mcwarth, who is a passionate blogger associated as a freelancer with Outreach experts like SubmitCore. She loves penning her thoughts while promoting businesses to target audience. 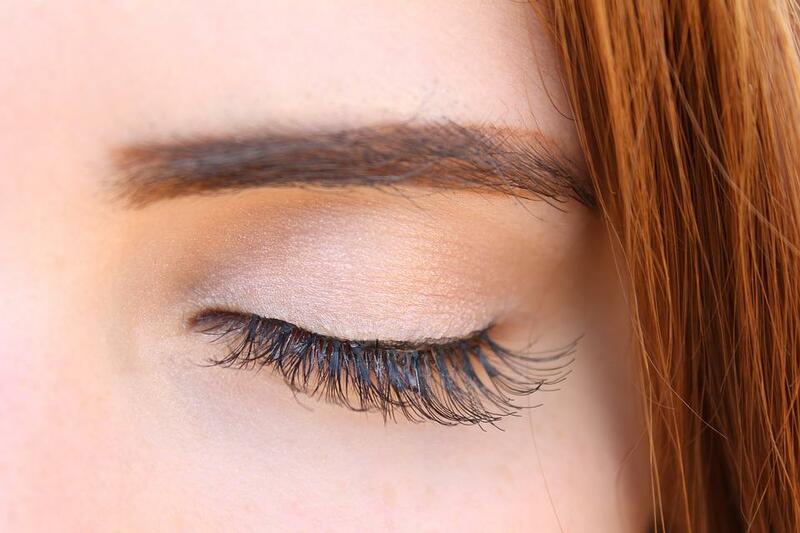 Are you starting to get wrinkles around the eyes? None of us want to have eye bags and crow’s feet – whilst they may be a natural sign of aging later on in life, many factors can cause us to develop these wrinkles earlier. Here are several ways to combat eye wrinkles. Smoking effects the skin in many ways – preventing the flow of oxygen to the surface and causing it to become pale and dry. Smoking also causes facial wrinkles due to the smoke and heat. Packing in your smoking habit could help to fight those eye-wrinkles. You could buy yourself an electronic cigarette from a site like Vapor Vanity and take up vaping instead. Alternatively, you could find another way of giving up smoking such as chewing gum or wearing patches. A lack of sleep causes bags to develop under the eyes. This is the result of trapped fluid – when we get enough sleep this fluid is flushed out. Taking steps to improve your sleep quality could help to prevent these bags turning into permanent wrinkles. Stress can directly lead to a lack of sleep, helping to bring on bags under the eyes. By taking time to destress before you go to bed, you could get a better quality of sleep. This could include taking a hot bath or listening to music or reading a book. You should avoid activities involving bright screens such as watching TV or playing on your phone as these can trick our brains into thinking it’s still daytime, preventing the release of melatonin. Squinting in the sun can cause eye wrinkles to develop known as crow’s feet. Wearing shades could help to stop you from squinting and prevent these wrinkles from developing. Not all sunglasses are tinted enough to make a difference, so try different pairs of shades to find that you can see through without squinting. If you find yourself squinting at your computer screen often, it could be because the light on your screen doesn’t match the light of your environment. This could include staring at a bright screen in the dark or having to deal with sun glare when working outside on a laptop. Programmes such as Flux can help to adjust the brightness of your screen to the time of day, preventing you from squinting and helping you to sleep better. Wrinkling can often be caused by dry skin. 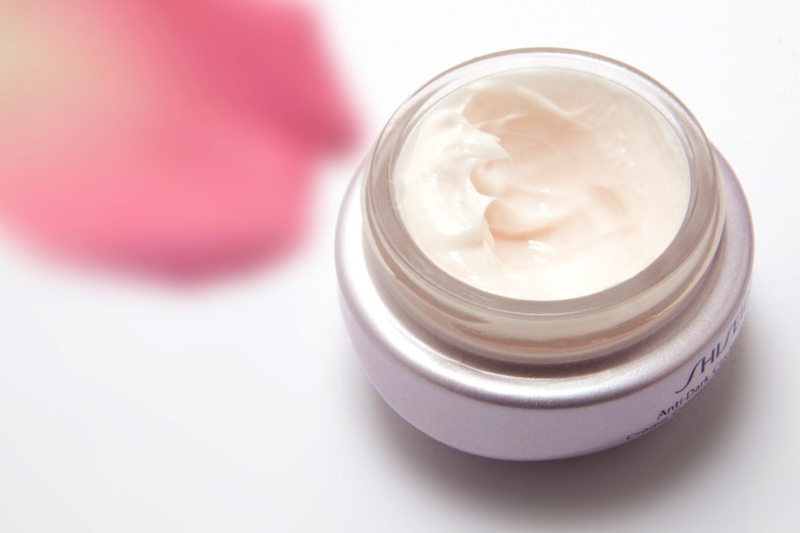 Applying moisturiser to your face could help to combat wrinkles by providing the necessary oils into your skin. There are even products out there designed specifically to target eye wrinkles such as Skinceuticals A.G.E. Eye Complex. Experiment with these products and see if they make a difference. You’re off to a party or going to meet your in-laws for the holidays, and you wake up to find something has happened to your face. Here you were ready to get going only to see you have some form of facial outburst. An outburst could be acne, eczema, infected eyes, dry eyebrows, swollen cheeks, toothache and even an inflamed nose cartilage. Our faces are very important as they are the most distinctive symbol of our identity. When something happens to us facially, we can’t hide it, and we have to bare the embarrassing situation. You may find that women put on makeup to hide flaws such as spots and blotchy skin, and men grow beards to hide from much the same thing. However running away from the concern isn’t going to make it go away indefinitely. You have to take charge of the situation right then, and there are perform measures that will alleviate the problem quickly and effectively. If you’re in your teenage years or just getting into your early twenties, your body is still producing a lot of hormones. Your skin is going to be more sensitive and easy to break than usual and thus more susceptible to infections. Firstly if you see you have lumps and white spots on your face in the morning, it’s time to throw your pillowcase in the laundry as bacteria has caused this flare up. Try and be prepared for this situation with the best aloe vera natural skin creams that you can buy. Don’t use chemical-based creams as your skin might not react to the compounds as the product might suggest. An acne face scrub is quite an effective way to dampen down the spots that are filled with pus. By exfoliating the skin, you’re rubbing away the dead skin cells and bacteria while also reaching deep into your pores to clean out the infection. Rub in circular motions and only with low to medium pressure. Flaring up of the muscles and glands due to prolonged compression forces will cause your face to swell if you do. Waking up to a toothache can be at first confused with a normal headache. Since the sensory nerves live so close together, it’s easy to be misled by your own nerve endings. However, flaring of the gums is a painful experience as the inside of your mouth becomes red and raw. Again this is due to some kind of infection, and it could be due to a cavity and or even triggered by a loose filling. It’s hard to enough to get an appointment to see your local health services as it is which is why the market of an emergency dentist is alive and well. You can pop in the same day and get treated, no matter if you have a root canal, mere toothache, swollen jaw, issues with crowns and bridges, have a broken tooth that needs fixing and or needs a common extraction. The great thing about this kind of service is that it’s open seven days a week from 9 am all the way to 9 pm so getting an appointment quickly is easy. One of the banes of all humanity is dry skin. The largest organ we possess is also one of the most sensitive. A sudden outburst of dry skin can be linked to many different things. It could be too little or too much moisture in the air which leads to skin secreting too many oils or it drying off the surface. It may also be due to miniature critters such as dust mites that eat dead skin cells and excrete out a substance that causes itching. It may just be because you haven’t been consuming enough water which your body needs not just to lubricate itself but also to maintain temperature. Either way, you need to act quickly but calmly. Firstly do not take a shower or bath as the water and soap will accelerate the drying of your skin. It’s wise to keep some form of moisturizer in ointment form in your room. Creams are mostly made out of the water and thus don’t stay on your skin for very long. Ointments are thicker, and although they take longer to penetrate your skin, they act as both the under and above layer of natural skin oil. 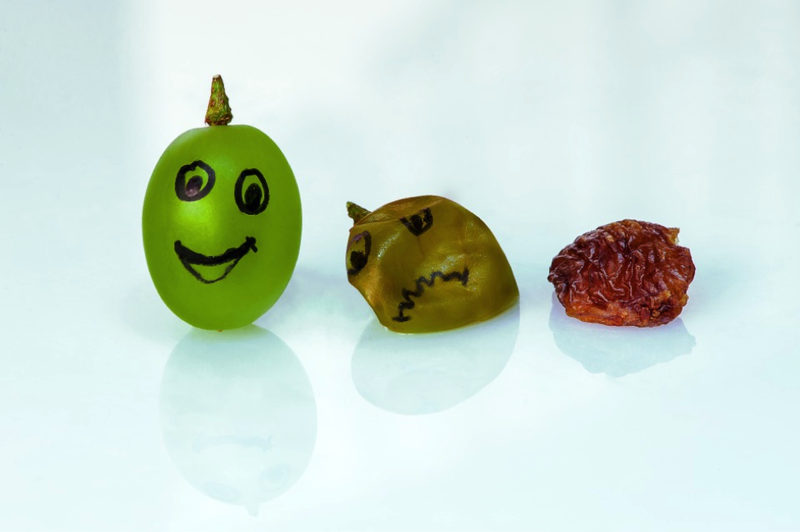 Take care of your body in the first place, and these sudden outbursts will be rare. Even still, reacting to the outburst effectively and quickly is the best form of defense. Dry skin is easy to handle if you have the right kind of treatment so plan ahead. 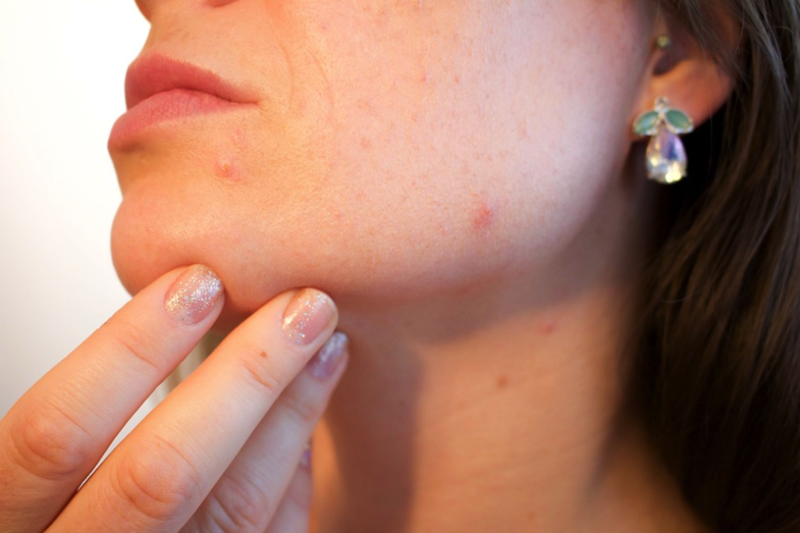 Acne is more circumstantial but vividly a more urgent issue but can be solved with a good natural scrub. Inflammation and or aches in your mouth can be solved with same-day dentistry if you need convenience right away. Ageing is one of those inevitabilities of life, but we don’t always know the best way to cope with it. The importance of looking after yourself as you enter your 30, 40, 50, and every decade beyond, means you need to take a little bit of extra care with how you do things on a regular basis. But also, lots of people feel that age is just an inevitable decline, but in fact, if we keep an eye on specific symptoms as we age, we can learn to manage these better, and live a much richer life. So, what is worth keeping an eye on, regardless of how old or young we are? Loss of hearing isn’t something that’s just for elders, the more you are exposed to loud noise, including music, the likelihood is that you will develop hearing problems sooner rather than later. Tinnitus is one of those things you need to be aware of, and it can start by hearing a ringing, or some sort of noise inside your ear. Luckily, there are various forms of tinnitus treatment now, but it’s important to be aware of some of the things you might be doing that accelerates your hearing loss. One prominent example is if you listen to music through earphones. While there are things like osteoarthritis that can strike when you are much older, the seeds are sown much younger in age. If you like to go running to keep healthy, there is a chance that you might be using improper form, and if you run too much, it can wear away at your cartilage, meaning your joints will rub together and be very uncomfortable. It’s always important to take proper stock in the health of your joints and bones, especially after the age of 40. But strength training is one of those solutions that help, as long as you do it with proper form. This isn’t something you notice so much when you are younger, but gradually as time wears on, so will your stomach. The lining of our stomach can be eroded by the poor diet we can eat through our lives and our gut bacteria can be worn down, which can contribute to issues relating to inflammation, as well as food intolerances. A few ways to help our stomach is to eat foods rich in probiotics, which helps to replenish the bacteria in our guts, but also, giving our stomachs time to repair itself. While they say breakfast is the most important meal of the day, there has been research into how fasting can help repair the cells of every part of your body, not just your gut. You can start to do this by, very simply, skipping breakfast now and again. In addition to these, one of the main things we all know this is that our minds aren’t as sharp as they used to be. You can remedy this by, very simply, exercising your mind. Much like we exercise our bodies, you can do the same for your brain. Ageing doesn’t have to be a depressing thing, as long as you keep an eye out for the key problems we all get. As soon as we think we are ageing, the appearance of wrinkles start bothering us.As we age, fine lines and wrinkles will start to appear. But there’s plenty of ways to get rid of wrinkles such as avoiding too much sun exposure, making a few lifestyle changes, and creating a proper skincare routine. Direct sun exposure will eventually hurt our skin and is one of the leading causes of wrinkles because of the sun’s drying rays. You should always keep yourself protected by applying sunscreen of at least SPF 30. Not only does it help reduce getting fine lines, it also decreases the chance of skin diseases such as sunburn, and can even prevent skin cancer. You are what you eat. What your body intakes will eventually reflect your physical appearance. Select foods that are rich in omega-4 fatty acids and vitamin E. Eat your way to fabulous skin by adding foods such as fish, sunflower seeds, fruits and vegetables to your meal plan. “You must drink at least 8 glasses of water each day.” is a cliché. But it is a must. Many of us doesn’t drink enough water our body needs. And many of us are not aware of the benefits of keeping ourselves hydrated even during cold, winter days. Water is essential in giving our skin the right moisture and distributing essential nutrients on the skin cells. It also delays the appearance of fine lines as it increases our skin’s elasticity. Keeping ourselves hydrated doesn’t only benefit the appearance of our skin but it also helps in keeping us healthy overall as it flushes out toxins in our body. Lastly, it is a great alternative for hunger as we sometimes think we are hungry only to realize we just need a glass of water to satisfy our thirst. Lack of sleep accelerates the human aging process. It causes wrinkles to appear under the eyes, neck, and forehead. Getting enough hours of sleep is advisable if you want to maintain a healthy glowing skin. And while you’re at it, try sleeping on your back or on of your sides so there won’t be constant pressure on your face. You might also want to consider changing your pillow cover to fabric and silk. Deep sleep can eventually repair skin tissues so create a relaxing bedtime routine and selecting essential oils like lavender. Exercising is something that most of us our too lazy to do. But moving our bodies actually makes us younger looking as it clears the skin of toxins through sweat. It also helps regulate the circulation of the blood. We just have to be careful in selecting the kind of exercise we should be doing as some says that specific exercises such as weightlifting causes more wrinkles to appear. Posted in Beauty & Fashion, Health & FitnessTagged Beauty Blog, Beauty Blogger, Beauty Tips, Best Beauty Blog, Fitness Blog, Fitness Tips, Get rid of wrinkles, Health Tips, Personal Care, Self Care, WrinklesLeave a Comment on How to get rid of Wrinkles! The holiday season is upon us, so it is natural to want to look our best. From an office party to family reunions, there will be a lot of people that we will be seeing, some not for a while. So it is only natural to want to look our best and wow them as much as we can. Being able to dance the night away in your little black dress and feel comfortable is what it is all about. So what and you do to prepare and make sure that you’re looking good? Here are a few tips and tricks to help you, as well as the areas that you should be focusing on. One of the first things to look at is your skin. Winter can cause problems for your skin, as it can really dry it out. When you’re constantly exposing your skin to vary temperatures (the cold from outside and the warmth from indoors), it can sap some of the natural oils from your skin. So focusing on your skin first and foremost is a good way to go. Here are some of the things you can do to make sure skin is looking its best. Skin peels have been around for a long time, and they are still here. Why? Because they have been able to stand the test of time and show just how good they are, as well as how versatile. So it could be worth looking at getting having one done. It can peel away the dead skin to reveal glowing and fresh lovely skin. This can make your look instantly better, as well as reduce the number of spots that you get. Speaking of which, blemishes can be on the rise when you aren’t taking good enough care of yourself and your skin. But it is important to not get confused as to what is a spot or a blackhead and what isn’t. If you start to squeeze a sebaceous filament, for example, it can lead to swelling, which is never a good look before a party. They aren’t spots, but can often get confused as blackheads. So sebaceous filaments vs blackheads: what is the difference? To make sure that you’re not trying to squeeze the wrong thing on your face, you need to know what they look like. A sebaceous filament is typically light grey or a hue of tan in color. They feel smooth to the touch and are naturally on our faces. Blackheads, however, are the result of a clogged pore from things like dead skin cells, dirt or impurities. They are slightly raised and are darker in color. So before you squeeze, double check what you’re looking at; don’t end up with a lumpy face from putting pressure on the wrong thing! Winter is a time when your skin needs a lot of protection. If you think that sunscreen, for example, is only needed when it is sunny, then it is time to think again. Use a sunscreen all year round to reduce sun damage to your skin. Many brands are upping their game when it comes to sunscreen too. 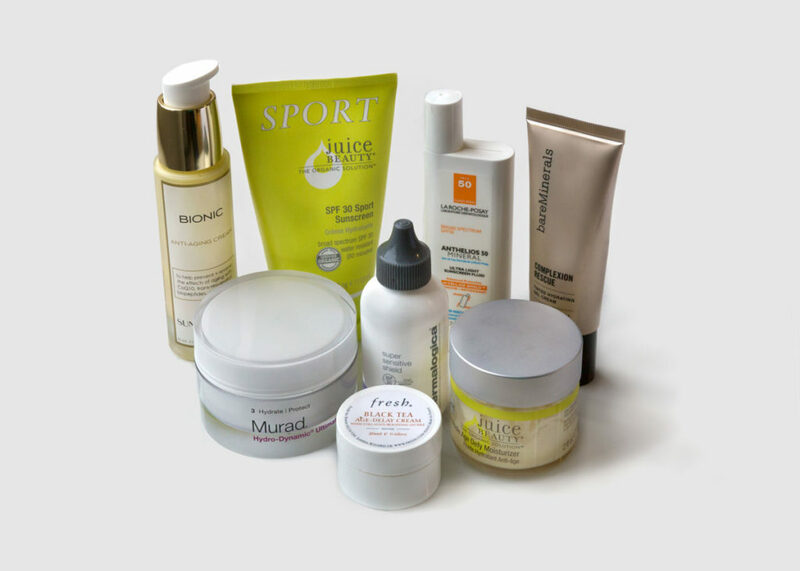 There are brands out there that help to fight against free-radicals, and ones that can give your skin an antioxidant boost. For your skin and your body, you need to stay hydrated. Drinking plenty of water, and avoiding too much caffeine is a great way to make sure that your body is taken care of. Drinking plenty of water can help to flush toxins out of your body, which will help to rejuvenate you, as well a reduce things like dark circles under your eyes. Our bodies are made up of a lot of water, so when they have enough, it helps them to work as they should. There is no getting away from some salt in our diets. But if you’re wanting to get into your little party dress and want to reduce the bloated feeling, then reducing your salt intake is a good idea. Don’t get me wrong, some salt on a steak can go a long way and transform the flavor. So just avoid a big bag of salty chips or fries the day before an event, for example. Stick to whole foods, rather than processed foods as a rule, and you’ll be able to control your salt intake much more easily as you will know what you’re adding, rather than what is hidden. We are getting into the full swing of party season. But there is no time like the present to move more and exercise more. Even if you’re not looking to lose weight, it can be a good way to help you to feel happier over winter, as well as firm and tone up your body. If you have a gym to get to, then great. If not, there are many apps that you can download to help you. A yoga routine could help to firm up your arms for your party dress, for instance, or a six-pack abs workout could help you to feel more comfortable in your chosen outfit. You don’t have to exercise for hours on end; even walking more regularly can make a difference. If you want to avoid being bloated, then as has been described, salt is a good thing to avoid. Another great thing to watch out for are fizzy drinks. If you regularly have soda pop, then looking to reduce your intake can reduce the bloat. Even when you’re out at your parties or events, stick to alternatives like red or white wine, rather than champagne or prosecco. 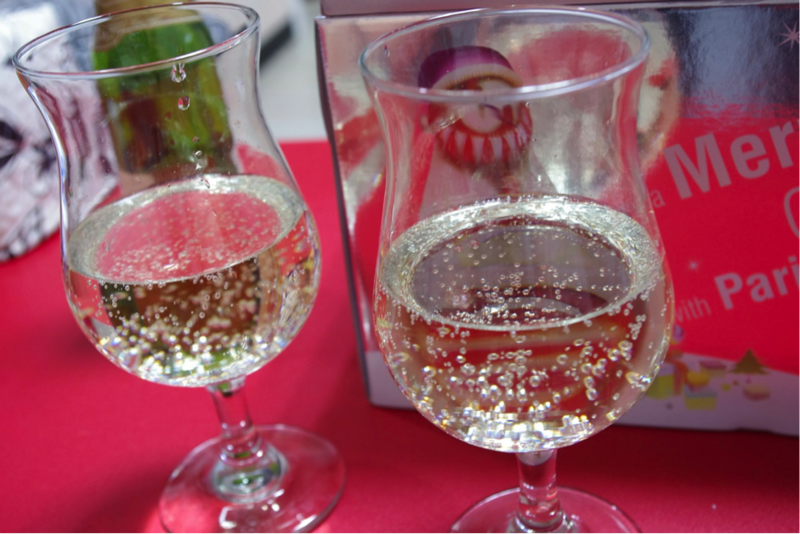 The bubbles can fill you up, which is why many people drink them. But they can lead to you feeling bloated, and that probably isn’t how you want to feel in party season. Sleep is important at any time of year. But it is even more important when you want to stay up later some nights and enjoy yourself. You’re not going to get very far if you’re exhausted and can hardly keep your eyes open. Instead of reaching for an unnatural solution like energy drinks, energy pills, or caffeine, simply make sure that you are getting enough sleep each night. Most adults know what sleep they need to get and what works best for them. But around seven or eight each night is a good guide. After all of the partying has been and gone, then you might want to consider something like a juice cleanse. It can restore your system and give it a bit of tender loving care that it might need. A juice cleanse will fill you with vitamins and minerals to help your body feel at it’s best, as well as give it a boost to help repair and restore. There are plenty of recipes online that you could aim to replicate, as well as buying some from stores. Just look for ones that are cold-pressed, rather than pasteurized. Then you know that no heat has been added and all of their goodness is still in there. What have you got planned this party and festive season? Would love to hear about your plans and what you are planning. Do you have plenty of parties to go to in the coming weeks? Just remember to stay safe, follow these tips, and you’ll be in for a season of fun and frolics, and not sickness and sadness. Happy holidays! Painless Laser Treatment at ISAAC Wellness! ** And DLF Emprio (Worship Salon). ISAAC provides world class non-invasive services in revealing the beauty concealed within them through advanced aesthetic methods with no down time. 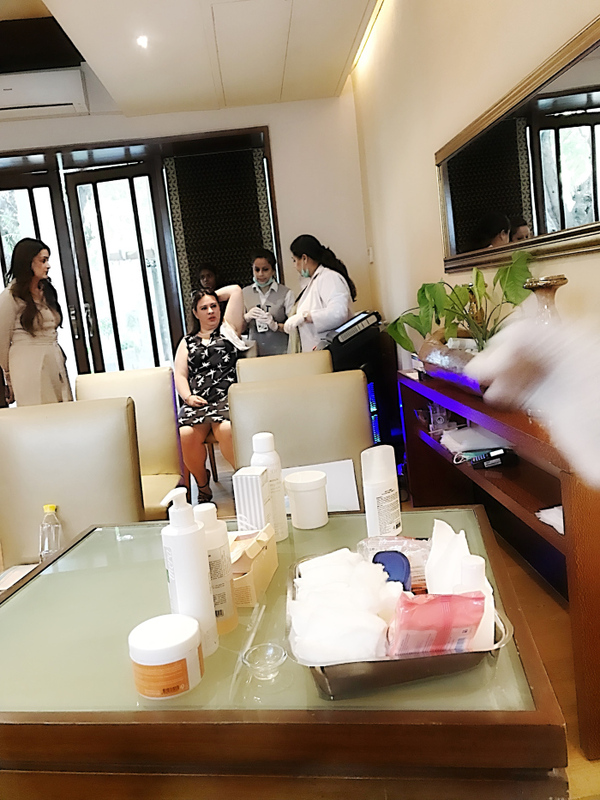 They customise the treatment to meet the specific skin care demands of each client and not compromising on their safety and comfort. I recently indulged in a laser hair removal sitting, and I have to admit that the technology that ISAAC has brought in is really commendable. This laser hair removal experience was totally painless and my skin felt so smooth just after one session only. Hair Removal is often a painful, time-consuming daily routine for many people. While traditional methods such as waxing, tweezing and shaving are effective for removing the hair, they do not provide long-term solutions for hair removal – never mind all those bumps, nicks and ingrown hairs. Laser hair removal is a quick and cost-effective solution for preventing unwanted hair growth. It can be performed virtually anywhere on the body – face, legs, arms, underarms, chest, bikini line and works just as well on any skin type, colour and thickness of hair. Just before the procedure, your hair, undergoing treatment, will be trimmed to a few millimeters above the skin surface. A numbing gel is applied on the surface and the laser beams work on the hair follicles that are in the active growth zone. There is no pain involved in the procedure and doesn’t cause any redness or irritation to the skin. Another attractive advantage to this treatment is that you don’t have to wait for hair to grow, you can shave between your appointments. At ISAAC, they first analyse your hair growth pattern and devise a plan to eliminate the hair from its root. There is absolutely no down time or side-effect for this procedure, and you can resume daily activities as soon as the treatment is over. 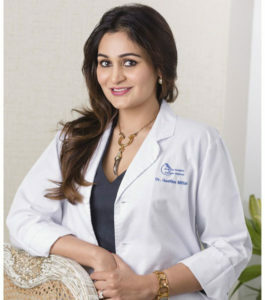 Dr. Geetika Mittal Gupta, DPD-Cardiff University, Board Certified by American Academy of Aesthetics, is a well experienced celebrity cosmetic dermatologist and one of the pioneers of Cosmetic Dermatology in Delhi-NCR. With over 10 years of experience in the field of Cosmetic Dermatology, she is the Medical Director of ISAAC ( International Skin and Anti-Ageing Centre), a centre which amalgamates the three tier approach to long term beauty with treatments for treatment, prevention and maintenance. The flagship centre is located at Chattarpur and other boutique centre are located in Gurgaon, Vasant Kunj, Shanti Niketan and Mayur Vihar. At ISAAC along with her team she routinely consults, counsels and performs Lasers, Botox, Fillers, Non-surgical face lift, Body Contouring and other aesthetic procedures. Over the years she has actively promoted the specialty of Cosmetic Dermatology in the medical community. Dr. Geetika is known to be a prolific orator and has delivered many lectures and chaired numerous session at National Cosmetology and Aesthetic Dermatology Conferences and CME programs. She has been a Cosmetology Consultant to many premier events. Dr. Geetika believes in the concept of low impact cosmetic procedures which cause minimal pain and discomfort to the person. These procedures now have globally proven efficacy in helping people to look their best and confident by non-invasive and non-surgical treatments. In the past she has been associated with Adiva and Nova hospitals as a consultant dermatologist. ISAAC aims to deliver the best results in the most relaxed and professional environment possible, ensuring you have peace of mind every step of the way. That’s what makes them the best of what they do. 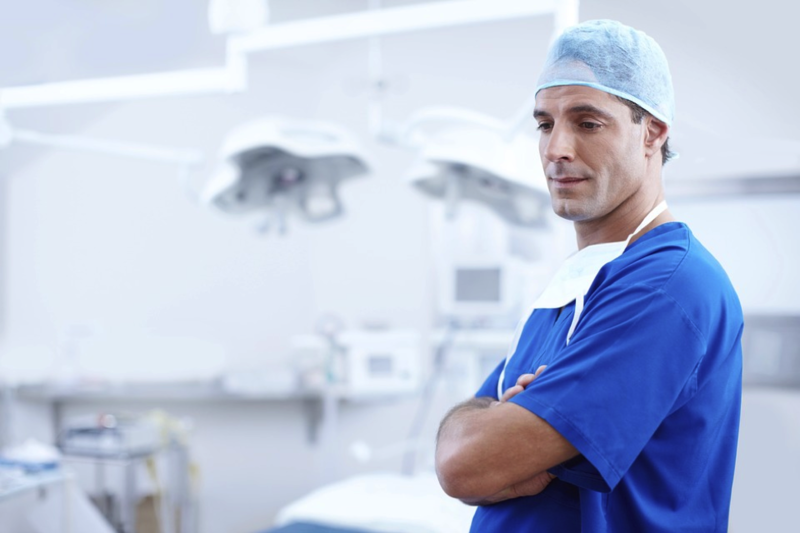 For them, confidentiality is key and they always provide a flexible, personal service. Most importantly, their clients know their treatments are highly effective and that they always do what is right for customers. They recognise that every individual is unique and requires a personalised treatment plan. They strive to combine the best of the art of medicine with the latest advances in research and technology in formulating individualised treatment plans to achieve an exclusive, desired and aesthetically-pleasing result. 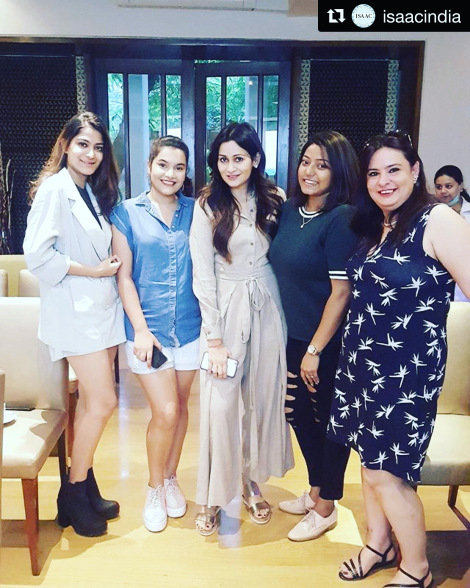 They set the bar in exemplary client care as all of their expert doctors are qualified in a specialist field and they train their aestheticians in-house with the latest procedures and techniques. Their customer services is unrivalled, and they’re proud to provide only the best in order to be the best. They are committed to ensuring that we receive the highest quality, in the most beautiful setting, at the lowest possible price. For me the entire session was not just interesting, but also very informative. There are a lot of treatments available with ISAAC which I would personally like to go in for. Posted in Beauty & FashionTagged Beauty Blog, Beauty Treatments, Best Beauty Blog, Dr. Geetika Mittal Gupta, Hair Removal, ISAAC Wellness, Laser Hair Removal, Laser Treatment, Personal Care, Weight Loss Treatment, Wellness, Wellness Blog, Wellness BloggerLeave a Comment on Painless Laser Treatment at ISAAC Wellness!